Matillion is hitting the road with AWS to speak at the Transformation Days across North America. Join us at one of our stops to see how Matillion ETL is changing the data integration game! Stop by our booth for a demo and tips and tricks from our Solution Architects, who are data warehouse experts. All AWS Transformation Days are free one-day events. 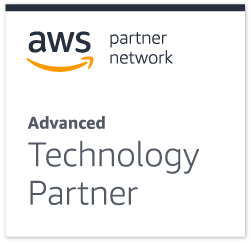 Join us other AWS enthusiasts for everything cloud-focused. We look forward to meeting the IT leaders, executives and business decision makers involved in cloud adoption. Register today to reserve your spot. Not all Transformation Days are open for registration yet. Follow @matillion on Twitter and follow us on LinkedIn for updates on when registration opens. If you can’t join us at any of these events, you can keep up to date with everything going on by following us on Twitter. You can also register for 1:1 Demonstration to see our tool in action for yourself. Get started with Matillion ETL for Amazon Redshift today. Request 1:1 demonstration or start a 14-day free trial.